Scientists at Tokyo Institute of Technology have designed a novel photoluminescent material that is cheap to fabricate, does not use toxic starting materials, and is very stable, enhancing the understanding of the quantic nature of photoluminescence. Understanding and mastering the generation of light could allow researchers to build and improve upon all kinds of optical and electronic devices. Quantum dots (QDs), specially tailored nanoparticles that emit light at certain frequencies when excited, are one of the central themes of nanotechnology. However, their applications are limited—it is hard to fabricate QD thin films, they use toxic starting materials like cadmium and lead, and synthesizing them is expensive. Some photoluminescent zero-dimensional (0D) materials (i.e. materials in which electrons are confined to a few nanometers and can be excited to produce light) have been tested, but they still relied heavily on lead. Thus, scientists at Tokyo Institute of Technology, led by Prof. Hideo Hosono, designed a lead-free, photoluminescent 0-D material and analyzed it to gain insight on the nature of photoluminescent materials. The fabricated material, Cs3Cu2I5, has a crystalline structure, as shown in Figure 1. The cesium atoms confine the [Cu2I5]3 units, which emit blue light when excited at specific frequencies similar to QDs. 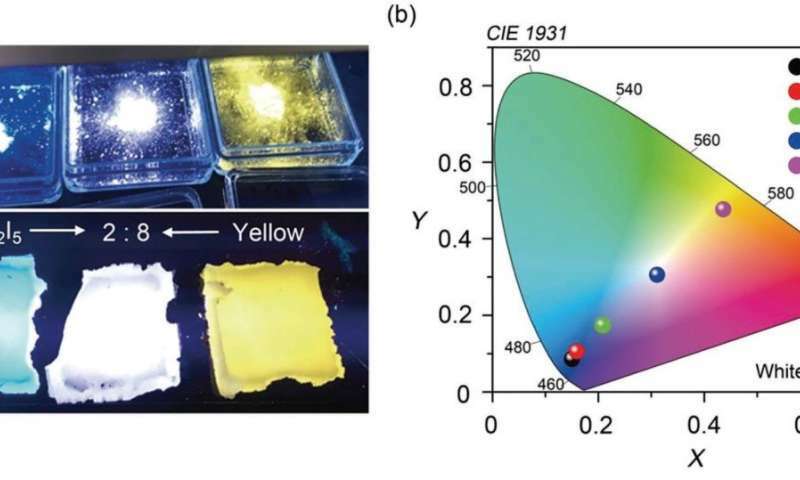 The researchers were able to fabricate a thin film using this material, which proved to be very stable and had excellent photoluminescent characteristics. 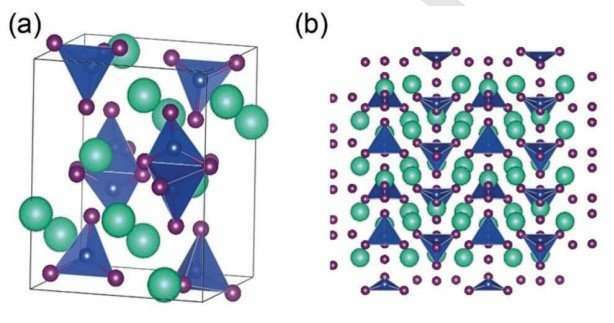 "The thin film exhibited good stability under ambient conditions, that is, no noticeable degradation in photoluminescent quantum yield (PLQY) over two months," states Hosono. Cesium is about 500 bucks a gram at last market prices (round numbers). That isn't something I would call "cheap" by any stretch of the imagination, unless when they are talking about a thin film they mean a film a few atoms thick.